In my opinion, many of the popular self-help teachings in books today are for people that don’t know themselves or God very well. The more you mature in the Lord the less you rely on these “training wheels.” Many self-help teachers and motivational speakers get into things that are very practical, but without the leading of the Lord it is often akin to humanism. How did I arrive at my present opinion? Based on scriptures like Ephesians 2:10 which teaches us that God foreordained us to walk in a certain calling of “good works,” and Romans 8:29-30 that teaches we were predestined to be conformed to the image of Christ. I believe that all of our inherent giftings based on our calling, personality, ability, physical limitations, intellect, geographic region, family location, and hereditary and genetic proclivities all add up to the truth that God has already providentially mapped out our lives (Proverbs 3:5-7). Thus, if we would live a life devoted to knowing and loving Christ then our fellowship with our Creator would activate whatever is inside of us, and we would automatically begin to walk in our unique vocations as we are led by His Spirit. But, many are so caught up in these kinds of methods that it takes our focus off the most important thing that catalyzes our purpose and gives us significance. Jesus told all of us what our mission statement as individuals should be, when He said that the whole law of God is summarized in loving God with all the heart, mind, soul and strength, and to love our neighbor even as we love ourselves (Matthew 22:37-40). He said all the teaching of Scripture depends on these two laws! In context, the upward call of God in Christ Jesus was to “count everything loss for the surpassing worth of knowing Christ Jesus my Lord….That I may know Him and the power of His resurrection” (Philippians 3:8, 10). Paul’s mission statement was simple: to know God and to follow His high calling in Christ Jesus. It wasn’t some corporate graph replete with mission, vision, personal short and long term goals, etc. Jesus also made it simple in Matthew 6:33 when He said “Seek first His kingdom and His righteousness and all other things would be added unto you.” True, God’s Kingdom, like all other kingdoms, involves more than prayer. It involves economics, politics, education, family, etc. But, if you or I want to influence a nation, the fastest way is to get to know the president or king of that nation so that we could affect the way their decisions are made. It’s the same in God’s Kingdom: if you want to influence His Kingdom, get to know the King and have transformational conversations with Him through prayer. Anything I have ever done of value for God has come out of my communion with God in which God laid something on my heart to do while I was worshipping Him and enjoying His presence. Some other times this occurred while I was interceding. (Most of the time it has been while I was relaxing and in silence before the Lord after a season of prayer and intercession.) I didn’t try to make it happen with goals and vision; it came to me automatically as I connected my heart to His heart and mind! And because He told me to do it, it was greatly blessed! I have seen many pastors burn out or put undue pressure on themselves because of some books they have read, such as one book in which a successful leader says that he had a goal of reaching ten thousand leaders in three years before he would consider himself successful. Other books by self-help authors tell their readers to create their own reality by making the things they visualize happen through having practical goals. Although there is much truth in this methodology, oftentimes pastors and Christians fail when they attempt to employ these teachings because God never gave them the goals they are pursuing. 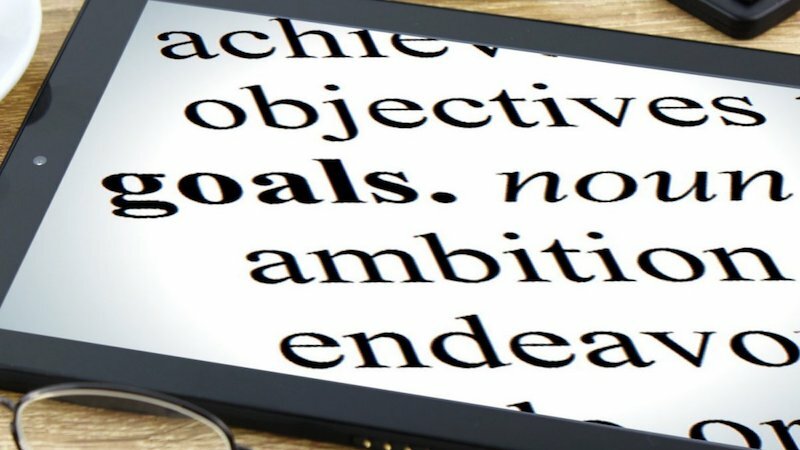 Their goals are merely projections emanating out of their “dark side” (selfish ambition, pride, insecurity, proving their value by performance, etc.) Thus, they are bankrupting their churches or sacrificing their families for ambitious goals Father God never gave them to begin with! I have no problem with strategic planning and mapping out short and long term goals. We all have to do this to be successful in what we attempt individually and corporately. But, my main caveat is that these goals better be given to you by the Father while in communion with Him. Jesus said that He only does what His Father tells Him to do (John 5:19). Unfortunately, many of us are busy doing things to prove our worth to our earthly fathers, peers, and to aid our own self-esteem. Joseph Mattera, you always bring meaty things to the table! I appreciate your deep thought on subject matter pertaining to the Kingdom of God. I, also, love your high calling to lovingly correct error in the body. I, too, feel that I am to set the plumb line of God so that others may adjust themselves to it. Amen Bishop! This speaks to me! Thanks for confirming what I had always felt for years. Really,this truth is full of spiritual impact and is great revelation ! I do so believe in the KISS principle, it keeps the mind focussed on what is important – our relationship with God!